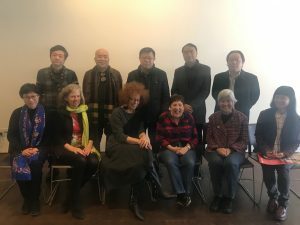 On November 17, NWU hosted six members from a Guangzhou Chinese Cultural Delegation in New York City. The delegation included Wu Dongsheng, Liu Shengqing and Li Xueli from the Guangzhou Federataion of Literary and Art Circles, Goa Heping from the Federation of Trade Unions of Guangzhou, Fang Tu, Dean of the Guangzhou Art Academy and Wang Xisoshu, Dean of the Art and Design College of Guangzhou University. 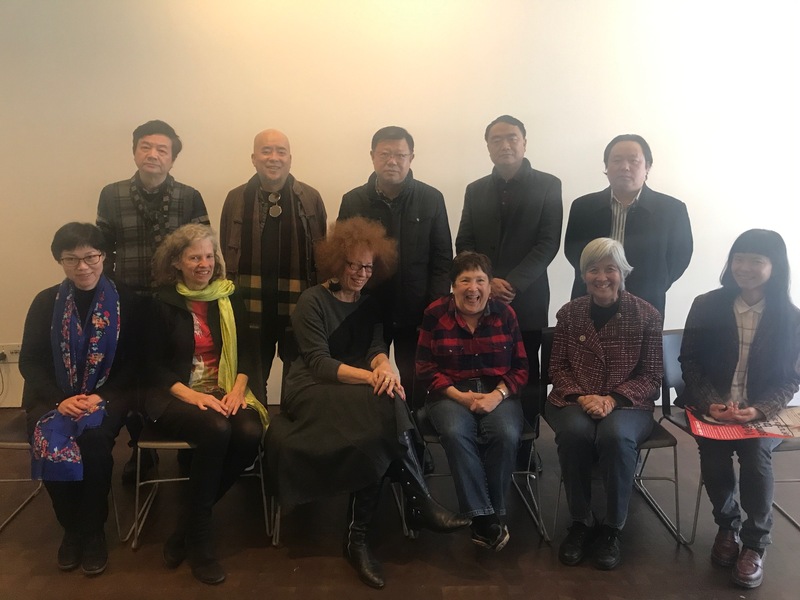 The NWU delegation included Esther Cohen, Rachel Bernstein, Ann Hoffman, Sherry Kane, May Chen (retired Workers United) and Molly Gibson from the Museum of Chinese in the Americas, which hosted the meeting. With the help of a Chinese translator, we spent some time discussing labor unions in America, how writers get paid, and what the expectations are of writers in the United States and China. The museum offered a tour for our members and guests.